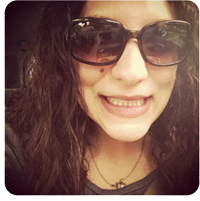 My last Voxbox was kind of a bummer, so I was pumped when I found out I not only qualified for the next program at Influenster, but that was also something I could eat. What can I say? Food makes me happy. So my coupon and voucher for Lifeway KefirÂ arrives in the mail and I’m automatically on my way to ShopRite, prowling the dairy aisle, awaiting my newest snack. As I walked into the refrigerated section of the store on a steamy and humid July afternoon, I was met with a variety of flavors and colorful bottles. I love colorful packaging and this looked fun right from the get-go. I choose Blueberry and actually made myself wait until the next morning to enjoy my breakfast. At first, the smoothie seems a bit thick, but you just really have to shake it up well. I loved how blue it was and I loved the bubbly texture (think gentle soda?). I also enjoyed the flavor. For me, blueberry can either be awesome or it can have that fake after-taste and this did not have it at all. It was delicious and tasted like WHOLE blueberries, not concentrated junk with artificial colors and flavoring. It’s also lactose free, which is great for Keith (he’s a little wary about trying anything that looks “different” though, heh. Now, let’s go deeper! The drink we now call Kefir (it is sometimes pronounced Kee-Fur) originated in ancient times when Eastern nomadic shepherds discovered that fresh milk carried in leather pouches would occasionally ferment into a deliciously effervescent beverage. Once the accidental process was discovered, this bubbly refresher became popular throughout the known world. It is thought to originate from the Turkish word â€œKeifâ€ meaning â€œgood feelingâ€, for the sense of well-being experienced after drinking it. I fell in love with Kefir drinks when I was in Iowa for college. The creamy texture, good selection of flavors, and the presence of pro-biotic makes this a perfect drink for meals! Good choice. Also a healthy and delicious option for all the broke, college students out there. 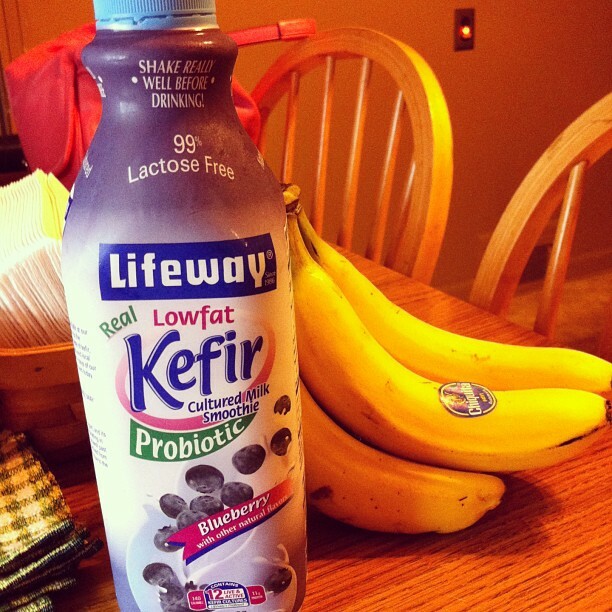 I’ve seen the Kefir drinks before, but since my belly doesn’t like milk products that well I haven’t tried them. Though I’m sure at some point I will break down and try them even though I’m sure I’ll feel like crap the next day. oo I’ve never seen or heard of Kefir drinks before. But the bottle looks nice, and the way you described it, it sounds really good. I know what you mean about blueberry flavour stuff, and I just hate the artificial taste of it. That’s so good how it’s natural and lactose free! I’m so glad I saw this! I received the coupon as well and I keep forgetting to go get it. I am scared to try it, but you make it a little easier for me, haha.